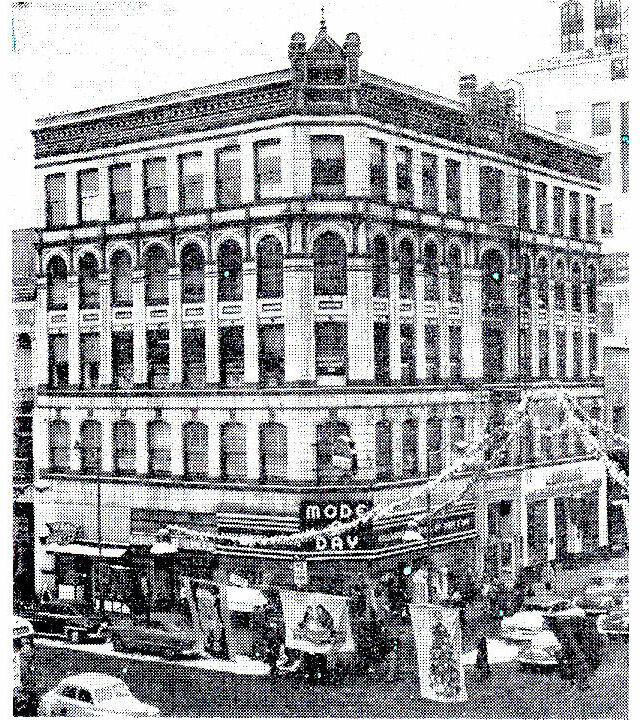 KFIO called the Sherwood Building and the Ziegler (AKA Fidelity Ziegler) Building home for 16 years from April 1935 to April 1952. These two buildings were in the heart of downtown Spokane. KFIO towers and later towers were mounted on top of the Sherwood Building, and the station's studios, offices, and transmitter were located in the Ziegler Building. 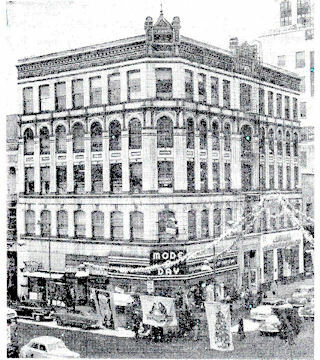 William Ziegler built the five-story Ziegler Building in 1889 right after the Great Spokane Fire. In 1889, the construction of a five-story building in Spokane, a frontier town that had just barely been connected to the transcontinental railroad was considered quite a feat. In fact, it was touted Spokane's first skyscraper. In July 1950, the station's callsign was changed to KSPO. In August 1950, Arthur Smith decided to retire and sold the station to Louis Wasmer. Wasmer moved the offices, studio, and transmitter to the Realty Building in April 1952. For information about the move to the Realty Building click here.